Crikey, done it. Been trying hard to ensure that we keep up to date with the site in 2018. So far so good then. A very big hello if you have just dropped by and a warm welcome to our webbywotsit. We are really a Continued Airworthiness Organisation looking after hot air balloons but obviously do, like our patrons, have other interests so, in the main articles and news you will find a wealth of diversity! 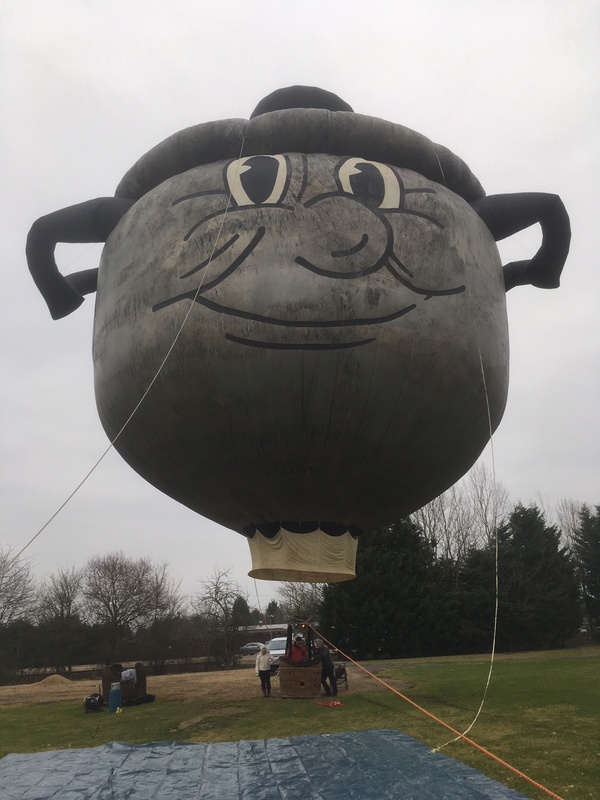 Traditionally January is a quiet time for us with the ground wet to water-logged and many balloonists venturing abroad to both hot and cold climes so, until the end of February we will be open Wednesday to Friday but if its an emergency or urgent please drop an email to chris@easyballoons.co.uk. I pick them up every morning from about eight until half nine. This year did start on a bit of a downer which, as it turned out was rather lovely, in a strange way, in that we went to Norman Apsey’s funeral which saw a full-house at the Crem and a fine turnout at Missenden Abbey, which is a beautiful place. Spotted in the throng was Ray Bailey from who we got the first hand account of how he and his driver got the failed inaugural north to south Caledonian Express to London Euston. More on that later! 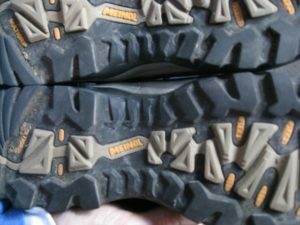 My lovely old Brashers are coming to the end of their usefuls and so last year, after a classic Swan day out to GoOutdoors in Milton Keynes I ended up with what promised to be a very comfy pair of Meindl Merans. Well, short and long was that after an hour or so’s proper walking the right boot wasn’t and after several pints, measuring and testing we discovered that the soles didn’t match. They duly went back to GoOutdoors and thence to Germany for a checkup and were sent back with ‘nothing found’. Meindls are clearly visually impaired or have very poor quality control, or maybe its a design feature! They then went to the Lake District to Meindl UK for a second opinion. After trying them in the office they too were at a loss to find a fault! Impressed? Not really. Anyway after a bit of a put-down by the manager of the Milton Keynes shop/warehouse (staff were great) eventually we have now got a refund from GoOutdoors so happy ending. Moral here is check that tread patterns are matching! Currently residing in the workshop is a large ride basket having a bit of tlc to the hide and Kavanagh burner that will be up on the Zebedee list pretty soon. A rarity in the UK. Mr Usill’s Ultramagic basket has also had a makeover and very lovely it looks too. We do frequently inform owners that their basket could really do with some love and oft as not the advice is ignored (not intentionally) and eventually the basket gets a bad dose of woodworm or falls to bits or we end up doing it. Now is the perfect time to give your basket a good clean up with a power wash (don’t power wash the suede or leather!) and treat it liberally with woodworm killer (any brand will do) ensuring you slosh it down behind the hide then using a rose-type sprayer give it a dose of Danish Oil from the inside out brushing in the excess on the outside with a decent paintbrush. If it hasn’t been done for a while then the wicker will probably eat the first coat in double quick time! You’ll really need a couple of litres to do a decent job. We use Bird Brand from Transtools Discount Warehouse via eBay. Well that’ll keep you out of mischief! In this episode should be, eventually, a piece by Robin Batchelor on his flight inside Liverpool Cathedral which sadly we couldn’t attend on account of Dunkirk activities and was really splendid. There is a report on the long overdue refurb of the mighty Dynatron which, as it happened, in the end was pretty uneventful so no technical stuff but more a return to long nights and log fires with minimal outlay! The Distinguished Gentleman’s ride, promised last time is also hopefully going up in a day or two. Also somewhere will be an impromptu day out to the Bicester Scramble which involved a fine time on a cold day. We have given the events page a jolly good stuffing with balloon meets various some of which we may even attend, especially the Grass Roots which will be at a new freshly prepared venue this year to give the Wilkinsons a breather (bit Glastonbury-like). The news is not full nor too technical but sadly there is a brief report on the Egyptian accident, the details of which are scant. Next time round we should have officially adopted an aeroplane and finished a report on our return to the Ridgeway ahead of a tromping north on a wild adventure through Bucks. In the Dark Barn clutter now rules so biffa time is getting close. The new Hilux I stupidly bought as a stop-gap is undergoing some work and putting up a bit of a fight. It will be going in Exchange and Mart North. Sad really because it is exceptionally low-mileage and drives like new but it has lived by the seaside! Enough said. Alice’s car is still awaiting parts so I have been saved from that, meanwhile I am driving about in a two door Hyundia diesel which, I have to say, is exactly as described in that it is unremarkable in every respect but does handle better now the tyre pressures have been lowered from 40psi all round! We have had the Mira shower in for repair after the switch gear fell apart after two years use (the knob broke after three weeks). It’s a design feature, apparently, and is now repaired with a carefully drilled and fitted nut and bolt! Also in the news Jane’s dad’s front door handle fell off. Now I’m struggling to suggest that we have actually been working hard at other things!! Next up will be recommissioning the BSA which has been resting after attempts were made to stop the front brake coming on and the throttle taking a while to affect the carb! Just cabling I reckon and a bigger spring on the front brake. Well that’s about it for now. 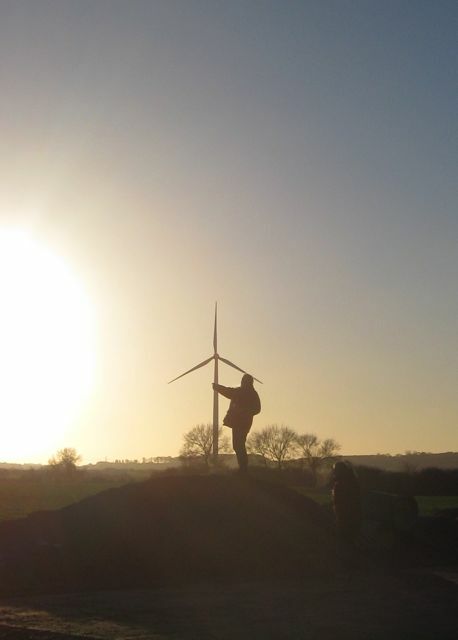 Main pic is how Meindl make soles that are about half a size out, second is Stuart holding up his latest compact wind generator after getting back from the Bicester ‘do’ and finally, ‘Stop Press’ is, recently arrived in the UK, G-BHRK. Thanks very much for calling by and please have a look around and enjoy the articles that are all there somewhere. All the best for an early start to the season from John, Chris, Jane and Polly.